If you have not built your own computer or bought an external hard drive for a while, you might not have known that you now have two different storage options for your computer. Instead of only having the one option to buy a hard disc drive, with the creation of solid-state drives you now have a choice to make between the cheaper, more traditional hard disk drives and the faster, more expensive solid-state drives. While the two different drives may serve the same purpose, there are quite a few differences between the two. Choosing what drive is best for your needs depends on a number of factors including storage size, speed, size, and budget. If you are stuck deciding between the two or need a little extra information about the two types of drives, the following sections will outline the pros and cons of each drive so you can make the best-informed purchase. What is a Hard Disk Drive (HDD)? When you picture a traditional hard drive in your head, you are probably imagining a hard disk drive or HDD. They are the hard drives that have been included in most computers since their creation in 1956. Today’s hard disk drives have improved tremendously since their creation. Original hard disk drives were around two feet wide and only had enough storage for one average sized MP3 file of today. Thankfully, since then they can hold more storage and have become much smaller and faster. A HDD actually contains a physical disk. If you were able to see the insides of a hard disk drive, you would see the insides look similar to an old turntable with a spinning disk and movable arm that rests above the disk. As the hard drive powers up, the disk spins at either 5,400 to 7,200 RPM (revolutions per minute). As the disk spins, the attached arm lightly hovers over the revolving disk and changes their magnetic fields. This change in the magnetic field allows the head on the arm to read and write information onto the hard drive. Hard disk drives usually come in two different sizes. Laptops most commonly use 2.5-inch hard disk drives and desktop computers typically use 3.5-inch hard drives. The sizes are all standard so you never have to worry about different sizes or form factors when building or repairing your computer. Hard disk drives have been around a long time. Hard disk drives are no different from any other piece of electronics in that the longer they are being manufactured, the cheaper they will become. Today, you can easily find an internal hard disk drive with one terabyte of storage for $50 or less. A solid-state drive with the exact same amount of storage can cost five times as much. 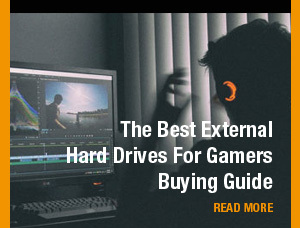 This makes hard disk drives a solid choice for most people on a budget. Another major upside to hard disk drives is their ability to hold a lot of data. Even smaller 2.5-inch laptop hard drives can hold multiple terabytes of information. For your larger, internal hard disc drives, you can buy some models that hold up to ten terabytes of data making hard disk drives perfect for people who need to store a large amount of data and store them cheaply. Solid-state drives have been increasing in price lately due to a shortage of manufacturing components needed to make the drives. These component shortages have no effect on hard disk drive prices or availability. 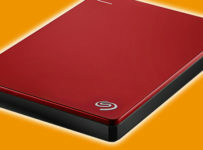 You should have no difficulty finding a new internal or external hard disk drive for your computer. Your typical hard disk drive uses approximately 6-7 watts of energy. This might not seem like much, but your computer’s power supply only provides so much juice to all the different components and every extra watt means less battery life. With hard disk drives using three times as much energy as solid-state drives, they can, they can shorten your laptop or computer’s battery by at least 30 minutes. HDD can only read or write as fast as the hard disk can spin. This limits how quickly the drive can read and write data to the drive. Your average hard drive disk has a file copy or writing speed of 50 – 120 megabytes per second, which is considerably less than solid-state drive’s 200 – 550 megabytes per second. Hard disk drives have a number of moving parts. When the drive is in use, you are able to hear the hard drive. Hard disk drives produce audible clicking noises and vibrations that solid-state drives do not. HDD drives are far more prone to malfunctioning than solid-state drives. Hard disk drives still use moving mechanical parts so any major bumps or drops have a higher risk of something essential breaking inside. In addition, since hard disk drives rely on magnetism to read and write data if a magnet comes into close contact with your hard drive, it can cause data loss or permanent damage to the drive. What is a Solid-State Drive? Solid-state drives (SSD) have only recently become a viable choice for many people when purchasing a new hard drive. If you own a newer Apple computer, odds are you have already been using one and probably have noticed the increased speed that solid-state drives have to offer. While hard disk drives and solid-state drives both perform the same function, solid-state drives are constructed and work entirely different from hard disk drives. Hard disk drives have moving parts while solid-state drives have none. Instead of using motors, spinning disks, and magnets to store data, solid-state drives use flash memory. Flash memory is comprised of computer chips that are still able to store information, even when they do not have any power. If you have ever used flash drives or thumb drives to store information, solid-state drives are essentially much larger versions of those. By far the biggest advantage you will have in choosing an SSD over an HDD is speed. Solid-state drives are typically two to five times faster than traditional drives. Right away after installing your new hard drive, you will begin to see the benefits. If you have your computer’s operating system installed on the solid-state drive, you should notice your computer boots up in a fraction of the time. Anything installed on the SSD will load, save, and copy faster than you have ever seen before. An ever-bigger positive for solid-state drives is their reliability. Since solid-state drives contain zero moving parts, this means that they are far less prone to breaking in the unfortunate chance that you drop it or need to pack your computer in a suitcase for travel. While solid-state drives do have a finite number of times data can be written onto them, 99% of users will never have to worry about reaching that limit. With no spinning motor, moveable arms, and revolving hard disk, solid-state drives are completely silent. If noisy computers are distracting for you, having an SSD in place of an HDD can help reduce the audio pollution coming from the inside of your desktop or laptops. Solid-state drives are by far more expensive than their hard disk counterparts are. Traditional hard disk drives will cost you approximately five cents per gigabyte and solid-state drives today cost roughly 25 cents per gigabyte. The larger the drive you need, the more these cents start to add up. Solid-state drives are still relatively new in comparison to the hard disk drives that have existed since the 1950’s. Another contributing factor to solid-state drive’s high prices is the rarity of flash memory today. So many companies use flash memory in their products. After accounting for phones and tablets, there is little flash memory left for consumer hard drives, driving up their prices even more. Consumer solid-state hard drives so far have maxed out at only four terabytes and even then, those are quite rare to find and pricey. In comparison, the highest capacity hard disk drives are typically 10 terabytes and sold at a fraction of the cost. Your typical solid-state drives sell in capacities between 500 gigabytes and one terabyte. If you need any more storage, consider combining a solid-state drive with another larger HDD, cloud storage, or hybrid drive. There are other hard drive options that use the best of both hard disk drives and solid-state drives. Since the majority of hard drives produced are HDD, hard drive makers have been trying to increase their speed and performance. The result is a hybrid drive. Hybrid drives contain both a small solid-state drive alongside the traditional hard disk drive. As you write data to the drive, your computer decides what part would be best to store it. Important operating system files and larger files will be stored on the SSD part of the drive while everything else is stored on the HDD. Companies like Apple have begun to use these types of drives in their computers recently and some manufacturers even have a few models available for Windows computers as well. Hybrid drives are in their infancy, so while they might not be a reasonable solution at the moment, they are something to consider in the future as the technology improves and the prices drop. 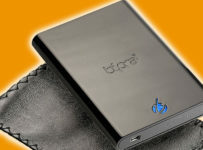 To decide what hard drive is best for you depends on your budget and what you are going to use it for. While solid-state drives have more features, hard disk drives are still the most commonly used hard drives for a reason. HDD cost considerably lower than solid-states drives. If you cannot afford the much higher price tag of an SSD, an HDD is a perfectly viable option. Hard drives are easy to replace so even if you need to settle on an HDD, you can always swap it out in the future when SSD prices have fallen a little more. If you also need a large amount of storage, solid-state drives are simply not feasible now without spending five times more than you would with a hard disk drive. If budget is not a constraint or you work with large files or media files regularly, the extra read/write speed is a major plus. In addition, for gamers with expensive PC builds, solid-state drives can dramatically reduce the loading times for most games. Traditional hard disk drives have been around for a long time and will continue to be the most used type of hard drive for the considerable future. However, as storage tech improves, the prices for solid-state and hybrid drives drop, making them more available to people of all budgets and needs. If you are in the market for a new hard drive, the above guide should have answered all your questions so you can make the best-informed purchase in the future. Best External Hard Drives for Photographers 2019 – Reviews and Mini Guide. 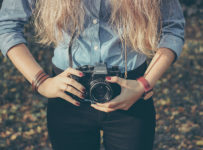 We are a participant in the Amazon Services LLC Associates Program, an affiliate advertising program designed to provide a means for sites to earn advertising fees by advertising and linking to amazon.com. Find out more on our Amazon affiliate disclaimer page.